Marriot’s millennial-aimed experimental hotel brand will be making its Aussie debut with the signing of Moxy Melbourne South Yarra. Slated to open in July 2021, the 180-room, new build standalone hotel is being developed by Melbourne businessmen Hector Ktori and Peter Arvanitis. With 30 operating hotels across Europe, North America and Asia and more than 80 properties in development, Moxy Hotels redefines the traditional affordable hotel experience, allowing guests to work, play and connect while surrounded by bold design and contemporary style. The brand’s iconic hotel living room concept is crafted for the socially extroverted, energetic consumer, with highly social spaces including a high-energy lounge, 24/7 self-service grab-and-go food and drinks, ample plug-ins for personal devices and furiously fast free Wi-Fi. 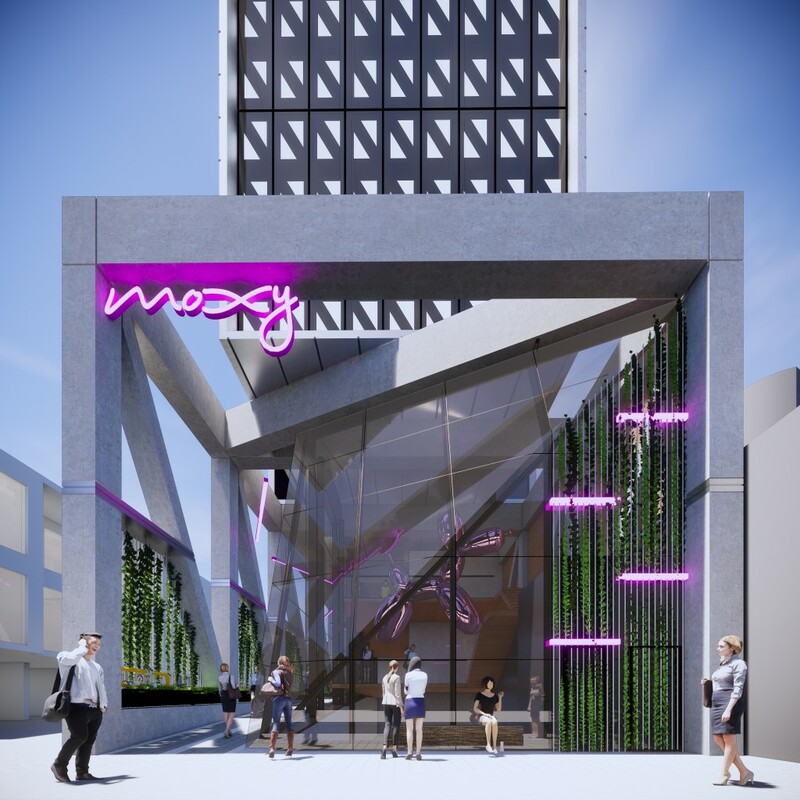 “We’re thrilled to be debuting Moxy in Melbourne, a city that radiates the playful essence of the brand,” said Richard Crawford, Senior Director of Hotel Development, Australia, New Zealand and Pacific Marriott International. Moxy Melbourne South Yarra will open in the heart of Melbourne’s lively South Yarra neighbourhood at 30-32 Claremont Street. The new build will feature 180 high-tech rooms, with floor-to-ceiling windows, various live/work/play spaces, including a bar, co-working space and meeting studio, as well as a rooftop bar overlooking the city skyline with access to a large veranda. “The next generation of travellers is seeking more than a comfortable bed and room-service burger,” Sean Hunt, Marriott International’s VP for Australia, New Zealand and Pacific said. “They want to stay in hotels with an approachable price point that offers bold, contemporary design and hyper-social experiences that tap into the local culture. Here is yet another example of social media’s power in helping guests put hotels to shame, complete with a gross video. Worried you or a client may be one of the 500 million affected by the breach? Here are some handy tips from a cybersecurity expert.